Keep happy dogs in happy homes! We believe that every dog has the potential to be a Great Companion! 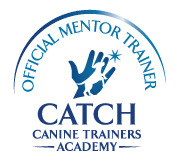 Through our educational training programs, we are redefining the relationship with man’s best friend. All dogs are welcome no matter their breed, age or behavior. Push the boundaries of science and education and take your relationship with your dog to the next level. David Shade is an award winning, professional dog trainer based in King of Prussia, PA. He served in the Army for 4 years as a paratrooper in the 82nd Airborne Division. While serving a tour overseas in Afghanistan, he was awarded for valor and received The Purple Heart. After his tour of duty, he went on to study Biology at Cabrini University before receiving a certification in dog training from the Catch Canine Trainer Academy. He also is a Fear-Free certified trainer and a member of the Pet Professional Guild. As a veteran entrepreneur, he created At Attention Dog Training where he and his team train dogs on topics including puppy training, obedience training, and the rehabilitation of fearful and aggressive dogs. He continues to be a leader in the dog training community with several publications in which he has continued to promote modern force-free, fear-free and pain-free dog training methods. 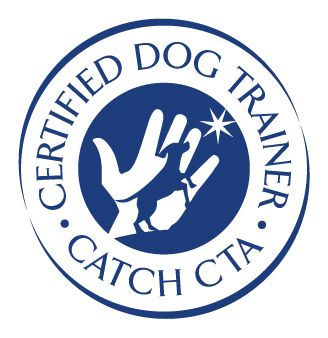 Now, he leads a team of exceptional and well educated individuals bringing the highest quality dog training services to the state of Pennsylvania. Lesley has been an invaluable team member of At Attention Dog Training since its founding. With a background in corporate-based businesses, she has cultivated community relationships, created marketing campaigns, managed AADT's social media platforms, coordinated puppy classes and more. She graduated from the University of Richmond in 2009 with a B.A. Through her experience in a high paced corporate environment, to working in veterinary offices, to volunteering for several animal advocate groups and rescues, she has been an integral part in spreading news, information, and education about the force-free dog training movement. Lesley graduated with distinction from the Victoria Stilwell Academy’s Dog Trainer Course. Katherine grew up in a competitive dog sports home, titling her first dog at 12 years old. After graduating from Penn State with a B.A. in Art History, she rededicated her life to dogs. Katherine is committed to inspiring teamwork and creating positive learning experiences between handler and dog. 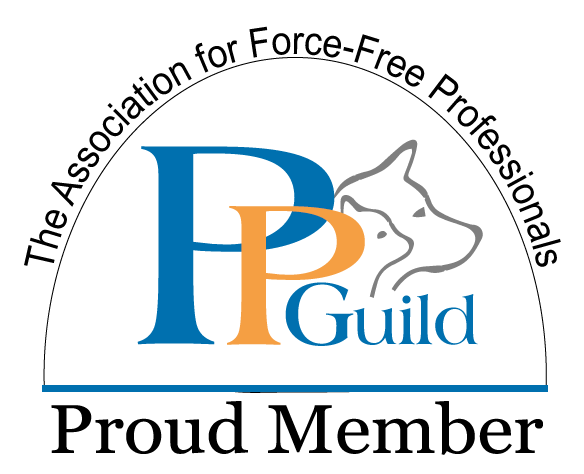 Katherine is a Karen Pryor Academy Certified Training Partner (KPA CTP), Certified Trick Dog Instructor (CTDI), and Canine Good Citizen (CGC) Evaluator with the American Kennel Club. Currently, Katherine trains in agility and obedience. She lives with her husband and two spunky Cavaliers, Chandler and Bennett. Lauren’s calling for dog training as a career came from her own experience with her dog, Nala. After a traumatic experience, Nala began to show aggressive behavior towards unfamiliar dogs. Lauren knew she wanted to help Nala overcome her fear, but needed to learn the best way to do it. It was then that she decided to pursue positive reinforcement dog training. After a year of working as an apprentice, Lauren sat for her CPDT-KA and continued to work as a certified professional dog trainer, helping clients live happily and peacefully with their dogs. When Lauren saw the opportunity with AADT, she was eager to join the team and continue with a company with such passion for keeping happy dogs in happy homes with force free dog training methods. Lauren has three dogs: Nala the sweet Pitbull, Brody the goofy Lab, and Bryce the spoiled Beagle mix. When she’s not spending time with her pups, she enjoys working out, traveling, and spending time with her boyfriend. Erika joined the AADT team in May 2018 and is the first person you'll likely speak with! Erika has been an animal enthusiast since she can remember - growing up with both dogs and cats has shaped her outlook on life and made her a lifelong animal advocate. When she heard through the grapevine that AADT was hiring, she jumped at the opportunity to support a company whose mission of fear-free training was helping keep dogs out of shelters and in happy homes with happy families. An undergraduate of Vanderbilt University and a graduate of NYU, she has a strong background in financial services, customer service, office management and operational expertise. Currently Erika is a proud co-owner of Maddie, an 80-lb black Labrador retriever mix who loves watching TV, car rides, snuggling on the sofa, and keeping a sharp eye out for chipmunks and squirrels. She also recently adopted two rescue kittens, Barnaby and Lucy. Samson was born in 2011 in a shelter and was rescued by Dave and his family in 2012 from another owner. Sammy is a Labrador mix with a wonderful temperament. He loves to play fetch with a tennis ball (or any toy for that matter)! Back home, he earns his keep (food, treats, and bones) by accompanying Dave on training sessions with dogs who are dog aggressive. Sammy is what is known as a 'bulletproof' dog. This is because he is non-reactive, especially in the presence of other dogs whom are struggling with aggression, fear, or anxiety towards other dogs. When called upon, he will therapeutically help rehabilitate any dog in need of help. He is just an overall wonderful and lovable guy!